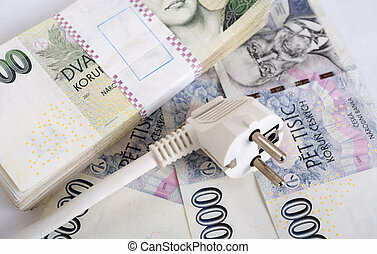 Expensive energy. 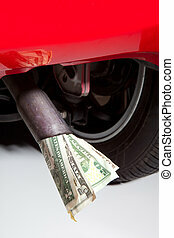 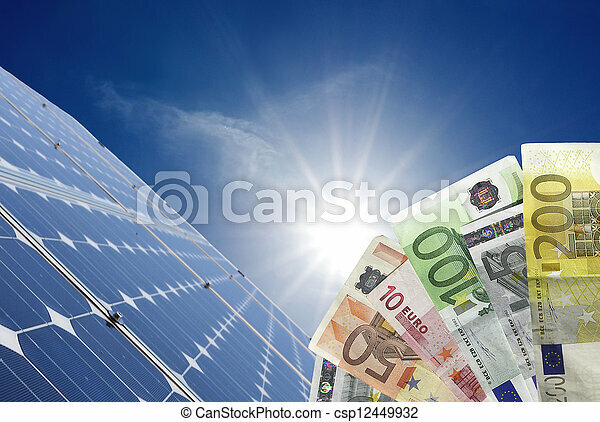 Money and energy. 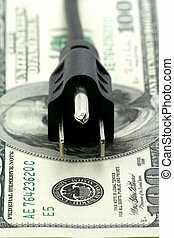 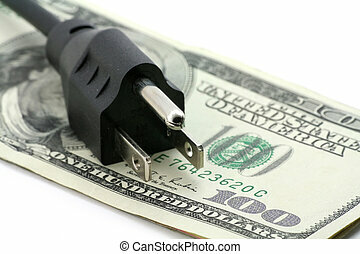 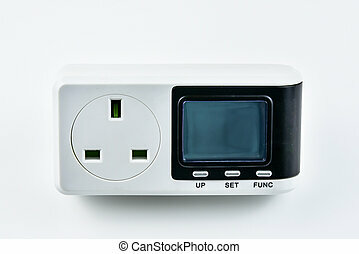 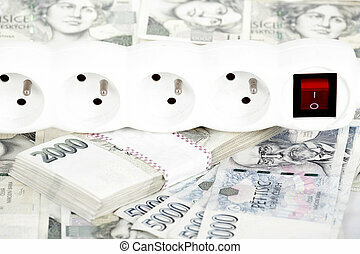 Power socket saving money concept of expensive energy bill. 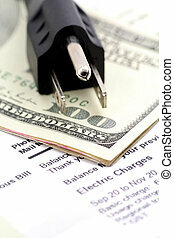 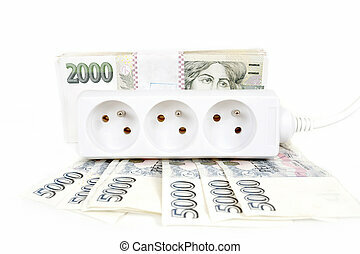 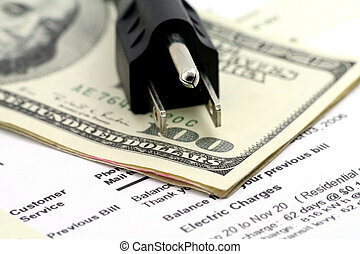 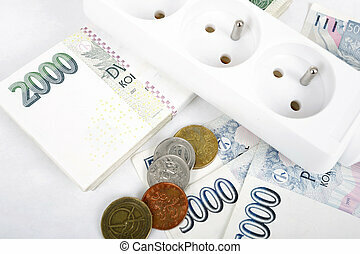 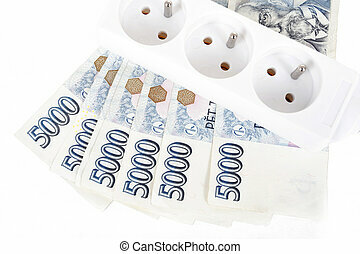 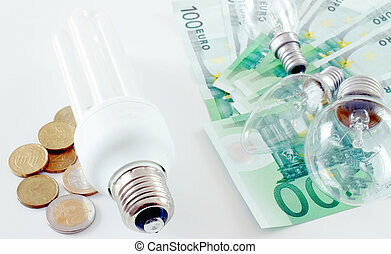 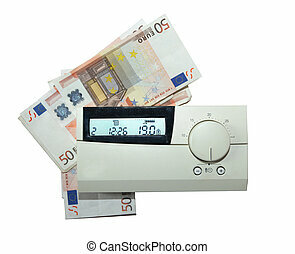 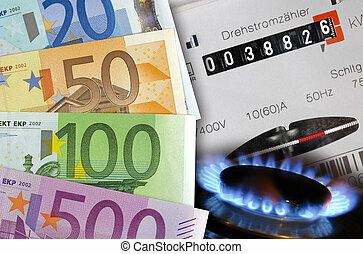 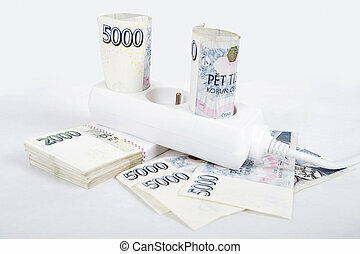 Concept of expensive electricity; energy saving bulb and small money, usual bulbs and big paper money.